Home / Is there room for both DCIM and ITSM in your Data Center? 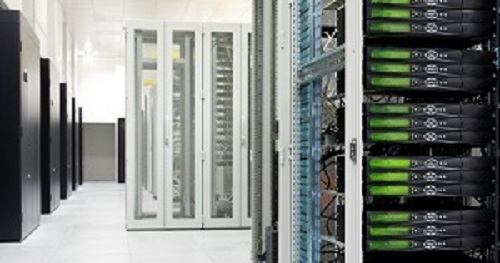 Is there room for both DCIM and ITSM in your Data Center? Regardless of the chosen approach, it will typically include a database that defines the current overall IT function status accompa­nied by a set of ITSM processes with well- defined steps and workflow rules for planning, designing, implementing, managing and changing all components of the IT function. Many organizations have deployed ITSM software to automate and control some of these processes, especially to manage and document the workflow for changes to any component of the IT function. At the heart of the overall IT function is the data center where an analogous discipline categorized as Data Center Infrastructure Management (DCIM) has evolved to guide the management of data center assets, their environment, and overall operations. In most ITSM software implementations, the central database repository, known as the Configuration Management Database (CMDB), normally includes the same information one may find in a DCIM database. While many organizations will effectively use both ITSM software and DCIM software independently, a company wishing to manage both IT assets and data center facilities together can be more effective if they use the same database to effectively communicate and share information and processes. This is where the value of integration of ITSM and DCIM comes into play. Several organizations are already integrating their Sunbird DCIM software with their ITSM software and operational support elements, e.g. CMDB, Service Desk, change ticketing systems, and workflow engines. Requested changes to the DCIM system information flow to and back from the ITSM system. A single, accurate database of all the collected IT asset data is stored and shared. This integration provides both operational consistency in handling all change requests and significant operational efficiency and reliability. This is just one example of how integration has helped organizations in their quest for DCIM solutions that can help better manage the asset, change, and monitoring functions within their data center. However, it does demonstrate that there is room for both DCIM and ITSM in your data center. To learn more about how the integration of DCIM and ITSM can help you, download the DCIM Software and IT Service Management - Perfect Together whitepaper today.